A teen charged in an aggravated robbery just over a year ago has been arrested in another holdup. 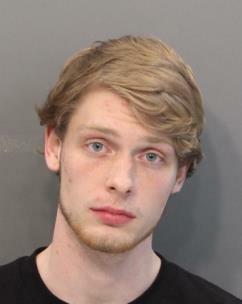 Jordan Landon Roberts, 19, of 2201 Ooltewah-Ringgold Road, was charged with robbing a man during a drug deal on Rossville Boulevard on Saturday. A man said he had gone to meet someone he knew as Landon to buy some marijuana. He said Roberts pulled in beside him, backing in his black Nissan Sentra. He said there was the girlfriend of Roberts was in the back seat. The man said Roberts showed him a gram of marijuana. He said he then went back to his car to get his wallet. He said he had about $700 cash in the wallet. He said he is a waiter and has lots of cash. He said Roberts then pulled out some type of assault rifle and pointed it at him. He said he was asked to turn over everything, and he complied. He said the girlfriend then opened the door and told him to get out. He said he was halfway out of the vehicle when Roberts sped off. Shortly after this incident, a state trooper was on Rossville Boulevard and saw a black Nissan coming at him at a high rate of speed. This was about eight blocks from the robbery and in the same time frame. The trooper said both Roberts and the girlfriend, Paula Coffin, fled from the vehicle. He was able to apprehend Roberts, but not the female. Roberts had $748 on him as well as some marijuana individually wrapped for resale. 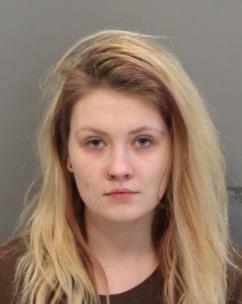 Police said Ms. Coffin left her ID in the vehicle. She was later arrested and charged with evading arrest, leaving the scene of an accident and DUI by consent. The robbery victim said he waited 24 hours before reporting the incident because he was scared. However, he said he "works hard for his money and did not want to just lose $700." The earlier robbery was a home invasion at a residence at the Laurel Cove subdivision in Hixson. Kevin Durrence was also charged. The homeowner at a residence on Summerwood Trail said an unknown white male wearing all black entered his home through an unlocked front door. He said the man held him at gunpoint with a semi-automatic pistol. The robber proceeded to steal a gun range bag containing two rifles and two pistols. One of the pistols was a 45 caliber. The victim said as the man left he gave chase and spotted a gray VW Jetta leaving his residence. He said he got a look at the driver. He was described as a white male with light skin tone and a thin black beard. Police said Durrence matched that description. The victim picked him out of a photo lineup. Police said nearby video showed two men in the VW Jetta as it entered the subdivision. A search of the trunk of the vehicle turned up some .45 ammunition. Durrence said it was not his. He said his friend, Landon Roberts, was driving his vehicle earlier that morning.